Led by first-term Mayor Grayson Vandergrift, four council members cast votes in favor of LGBT Fairness with two council members casting votes in opposition after brief debate. In April, the council committee removed “Religious Freedom Restoration Act” (RFRA) language from the draft ordinance and the full city council held a public forum on the issue in early May. A dozen Midway residents spoke in favor of the proposed ordinance at the forum, while only one member of the community spoke in opposition. 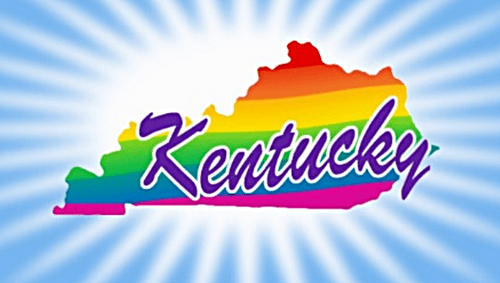 Midway now joins seven other Kentucky cities that have passed similar LGBT Fairness Ordinance, including Covington (2003), Danville (2014), the state capital Frankfort (2013), Lexington (1999), Louisville (1999), Morehead (2013), and the tiny Appalachian town of Vicco (2013). 8 Kentucky cities down, 417 Kentucky cities to go!